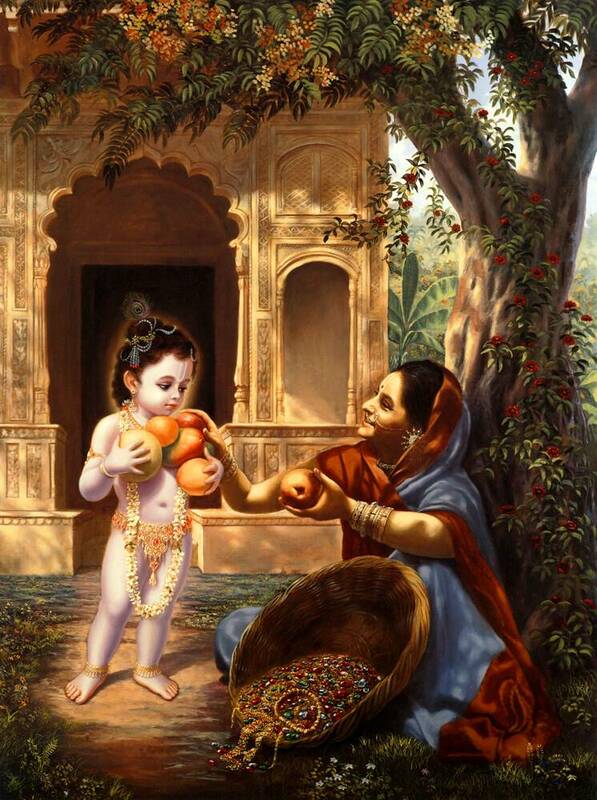 This painting shows Krishna as a child exchanging some grains for fruit. Krishna had seen his mother doing this, so he took a few grains, but Krishna's hands were very small, and most of the grains slipped out also. So he really had only a few grains to exchange for the fruit. The fruit vendor was so captivated by the beauty of Krishna that she filled His little arms with the best fruit. Meanwhile, by Krishna's mystic power, the fruit vendors basket became filled with the most valuable jewels.